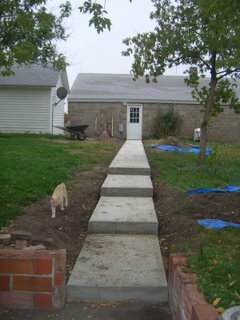 Before my recent trip, one of my projects was to frame out a new sidewalk and steps from the garage to the back step. 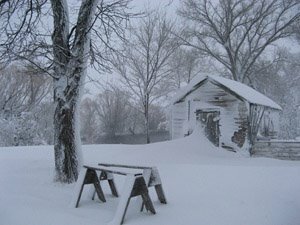 It was important to get a sidewalk in before winter, so that we'll be able to scoop the snow off and keep it from getting slippery and sludgy. 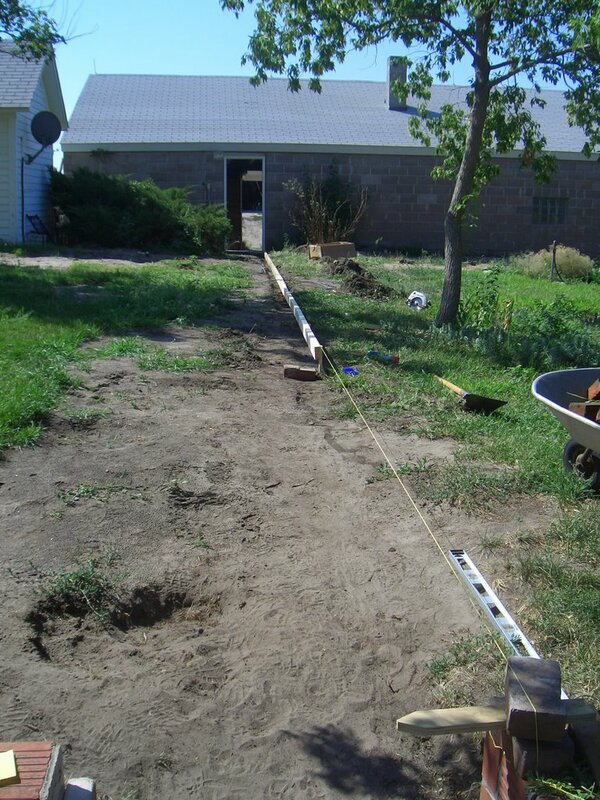 Cement framing doesn't need to look pretty, in general, but it is important to pay attention to the slope so that rain and snow melt will run off the surface, instead of pooling precariously in spots. 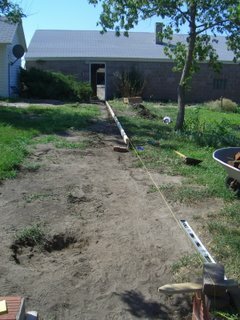 The hardest part was driving stakes into the hard ground to attach the runners to. 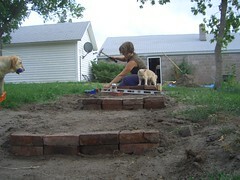 Now I'd like to mortar some bricks onto the edges of the steps, to make them more noticeable (and pretty).